COLINA, Chile (CNS) — In winter, the dirt roads in the slum known as Rivera Sur are muddy and full of puddles. “TECHO has helped me to insulate my house so it is less cold,” Aranda told Catholic News Service. “I went to a Catholic school, so from an early age we were taught to help other people,” said Clara Irarrazaval, a volunteer who has worked in Rivera Sur for the last year helping Chileans and families from countries like Haiti, Colombia, Bolivia, Peru and the Dominican Republic. 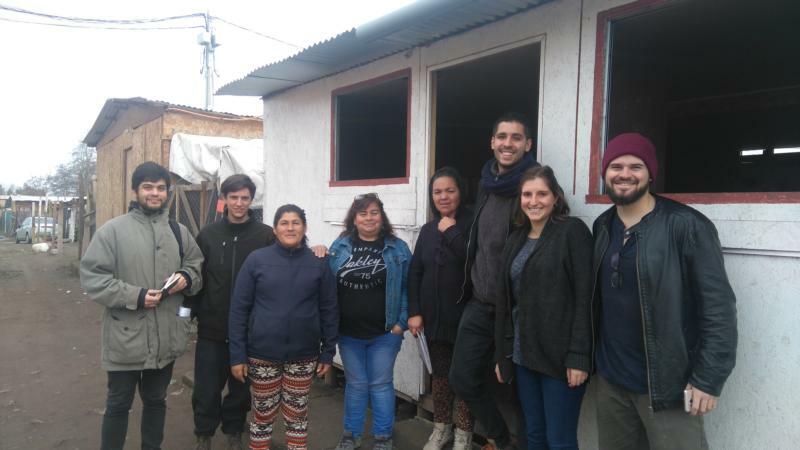 Irrazavel and fellow volunteer Felipe Jara explained how they follow the vision of the charity’s founder, Jesuit Father Felipe Berrios, by working closely with the community. “The first thing we do when we arrive is to sit down and talk with members of the community and ask them what they want,” said Jara. When residents said they needed more community spaces, the volunteers gathered materials and, with the locals, built a meeting hall. The hall serves as a place for people to discuss important issues, but it’s also an after-school club for the children living here. The volunteers help with the children’s studies as well as getting food and diapers for people living in the slum. Irarrazaval is convinced that this is the best way to show her faith. She is pleased Pope Francis — whose vision of the church is one going to the margins of society — is visiting Chile in January. Father Berrios got together with a group of university students to help build a basic wooden house that could be used as a chapel in a slum on the outskirts of Curanilahue. The mission was simple — to build a different kind of relationship with the people they were helping. The charity has come a long way in the past 20 years — expanding to 19 different countries in Latin America and the Caribbean. TECHO volunteers often are the first to help after natural disasters like the earthquake in Peru in 2007 and in Haiti and Chile in 2010.